Looking to buy a new car near Longmont? Nissan and Honda are both respected names in auto manufacturing, with a full lineup of models ranging from family sedans and crossovers to trucks, SUVs, and minivans. But when you put these brands next to one another, though, it begins to become clear where Honda excels over the competition. See how here, and then take a look at the new Hondas for sale at Fisher Honda in Boulder, CO.
Nissan and Honda both feature a comprehensive lineup of passenger vehicles, from small commuter sedans to trucks and SUVs. Here, we’ll take a glimpse at two of these manufacturers’ most popular segments — the midsize sedan and compact crossover SUV. In some key areas of size, efficiency, and affordability, the 2018 Honda Accord proves the more practical option than the 2018 Nissan Maxima and the Nissan Altima. The Accord is more affordable than the Nissan Maxima and is priced comparably to the Altima — the 2018 Honda Accord LX CVT starts at $23,570 1, whereas the 2018 Nissan Maxima starts at $33,270. At the same time, the 2018 Honda Accord has greater interior volume (122.3 cubic feet), more trunk space (16.7 cubic feet), and better fuel economy ratings (30 mpg city** and 38 mpg highway3). Whether you’re looking for better performance capabilities, more savings, or better safety, the 2018 Honda CR-V is a better choice than the 2018 Nissan Rogue — and it fares well against the rest of the competition as well. The Honda CR-V and Nissan Rogue are similarly priced, but the CR-V starts lower — the 2018 Honda CR-V LX 2WD CVT starts at $24,2502, compared to the Rogue’s starting price of $24,800. The CR-V gets more power and efficiency out of its 2.4L 4-cylinder engine at this price point. Moreover, the Honda Sensing® suite of safety features has earned the CR-V better safety ratings than the Nissan Rogue’s safety ratings. Honda and Nissan are both in the top half of reliability rankings again this year, but Honda comes out ahead of Nissan in the comprehensive Consumer Reports ranking of “Car Brands Reliability”. According to respected automotive reviewer Edmunds, Honda has an “excellent reputation for reliability and quality,” as well as “thoughtful design, a friendly nature, better-than-average fuel economy and attention to safety.” In their review of Nissan, Edmunds doesn’t give such laudatory praise. Additionally Kelley Blue Book has recognized Honda as a brand leader when put up against what competitors like Nissan have to offer. Is Nissan or Honda the Better Choice? Want to decide for yourself? 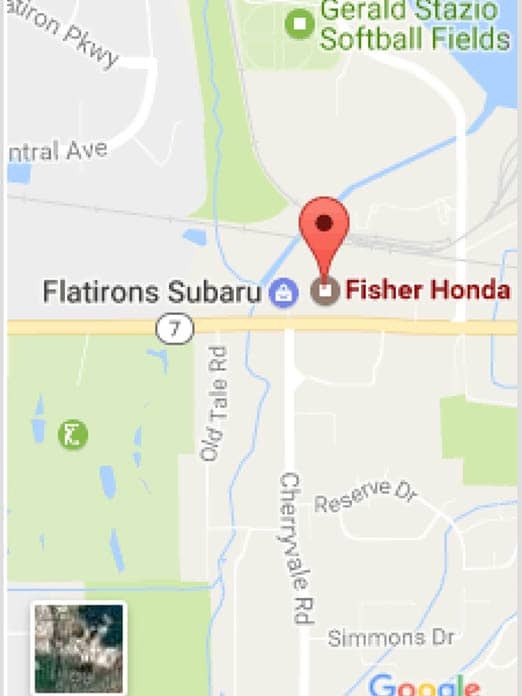 Check out any of the new Honda sedans, hatchbacks, crossovers, vans, and trucks near Longmont right now at Fisher Honda, your certified Denver area Honda dealership. 1 MSRP excluding tax, license, registration, $895.00 destination charge and options. Dealers set own prices. 2 MSRP excluding tax, license, registration, $995.00 destination charge and options. Dealers set own prices.